TipRanks’ unique algorithms tracks the performance of over 36,000 insiders, We rank these insiders using unbiased, objective algorithms so that investors can immediately discover toprated insider transactions. Looking for new investment ideas? See which stocks top insiders are buying and selling. The insider profile reveals that the ranking system is based on 2 key factors:profitable transaction rate and the average return per transaction. 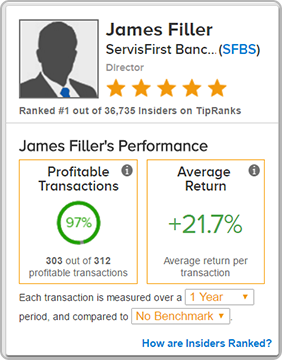 In the profile displayed above, for example, James Filler has a very impressive97% profitable transaction rate. In fact, at the time of writing Filler is the no.1 insider on TipRanks. To follow Filler, or any other insider, just click the blue ‘follow’ button in the upper right corner of the insider’s page. 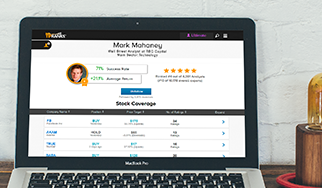 As with all of TipRanks tools you can select the appropriate ranking parameters for your strategy by favoring insiders that perform best when their stocks are open for a long or, if you are a short-term investor, short, time period. The result: you can see all the insider’s most recent transactions as in the screenshot below. For each transaction, note the company name, position of insider, action, amount, date and, of course, the profit. Uniquely TipRanks gives users the capability to distinguish between uninformative insider transactions (which have little significance as they are usually pre-ordered buys and sells) and informative transactions which are made deliberately by insiders and might reflect the executive’s belief in the future of that company. Click on the graph logo to see all the insider’s transactions on one stock in graph form. 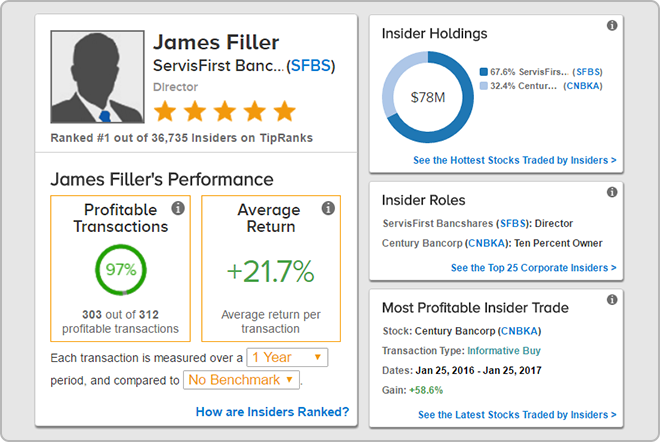 Perhaps a highly-ranked insider has a bad track record on a stock- check the insider’s success rate and average return on that stock here. Want to explore further? 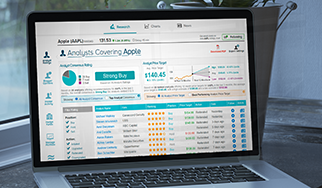 The related links on the right-hand side of the page gives you the opportunity to discover all stocks traded by insiders that day. 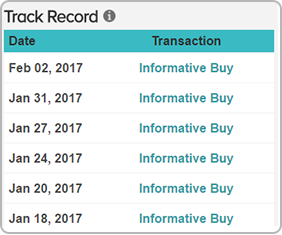 Scroll down the page to discover the insider’s most profitable trade. Have a question about the Insider Profile Analysis Tool?